I have a New Orleans with radar that will light up anything within 9 klms so I decided to set it up to hunt down DDs. I got the captain skill that designates a priority target for secondary armament, upgraded the secondary armament in modules and run a Mike Yankee Soxisis flag. All added up I have a 7.6 klm. secondary range and minus 85% to dispersion. After 25 battles I'm getting an anemic 9.148% hit rate. I can do better aiming myself with main guns. Is the RNG screwing with me or are all the secondary gunners this pathetically blind. Seems like a wasted 4 point captain skill. It's designed for use on Battleships, not Cruisers. Secondary spec is not recommended for cruisers, especially New Orleans. 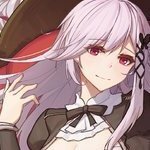 You can check the ship’s page on the wiki for recommend skills. So you've got AFT, MFCSB, SB-RANGE mod, and flags? If you're missing MFCSB that could be your issue. Although I don't recommend it as a Must Take skill for Secondary Cruisers, ctrl+click is a must to force any batteries in range and angle to fire at a specific target. Do you have BFT and the secondaries RoF flag? Those would help. More shots down range = more eventual hits. DD Hunting in CAs are a weird thing. Your secondaries are primarily there to allow you to focus on maneuvering through Torpedoes, and keeping up pressure while you rotate the Main Battery. In what build guide did you read about developing the secondary batteries of a cruiser? Because that guy should be put out to pasture. There are only a FEW ships that benefit from a secondary build like you are describing, and they are all German high tier Battleships. Cruisers don't have enough secondary guns to make this viable, it's only recommended for BB's that are absolutely bristling with secondary guns that can range out to 11.5 km. there are only a few cruisers that this might work on, but it’s not generally meant for cruisers. I have seen it pulled off on a Roon....New Orleans? Not so much. as a German bb captain I will say this: most of my closer quarters Experts are generated by finishing off wounded dds. Don’t let that fool you though since #1 a Bismarck’s secondaries are amazing and #2 the hit rate on a DD is still very low. If you want ACCURATE secondaries look to nagato or amagi... I still wouldn't take the secondary upgrade over dispersion though. I don't mean to sound condescending, but you took an idea that requires one of the things that cruisers have the most underpowered of and expected it to do well. If you want to hunt down DD's then light cruisers are your thing. I experimented with Secondaries Build Cleveland long, long ago. Just not practical considering the build dedication and what you get in return, as well as the natural risks involved with taking a Cruiser into a short ranged fight. The problem with Secondaries Build Cruisers is that you will run into one of two types of enemies that get into USN Cruiser Secondaries range. 1. Ret@rded DDs that don't know any better. It's not that great to have a build excel only due to idiots coming into your trap, because not every opponent out there is a moron. 2. Enemies that have no respect of your power, survival ability. They know you have no torpedoes and have zero problems dealing with you. Battleships. They're the ones that won't care. No torpedoes? You want to get within under 8km to one of them? They'll be more than happy to accommodate that. Cruiser knife fights are dictated by torpedoes and point blank AP gunfire for citadels, not secondaries. Cruiser Knife Fights are very short as a result and secondaries will not have the time to do their work to be of any use. The point was that no matter what guns you have with a stated 85% reduction in dispersion (I don't care if it's only one lone secondary gun) a less than one in ten hit ratio is pathetic. The numbers don't correspond to the stated parameters of the skill, upgrade and flag. Since it's an RNG setting and controlled by the site I would assume that even BB's only hit less than one in ten. Has anyone with a BB that has the same skill, mod upgrade and flag ever checked their hit ratio with secondary armament? If you have I'd be interested to here if it's the same. So this is now a Cruiser secondaries vs other BB secondaries thread? Here's one from GK a little while ago. AFT, BFT, Manual Secondaries, SBM2 & 3. 23% hit rate. I may give more pics if you want later on if I get into secondaries / brawl range any time soon. A Cruiser is always going to lose the secondaries fight. If a ship is vulnerable to Cruiser secondaries, they have the stealth and speed to not be in your range. If a ship can ignore Cruiser secondaries and straight overpower it, they can and will. Battleships. Check that damage. 79 hits and 12k damage. I run full secondary spec on my Bismarck and highly recommend it...BUT. Don't force yourself into secondary range. The secondaries exist so you can park near a capture point to support your DDs, and provide both main caliber and secondary support when they spot other DDs. If enemy ships try to push into you, focus them on secondaries. It's not about damage dealing, it's about the mental effect. Noone wants to sit inside the hail of fire, and after time, they eventually start fires. I regularly rack up 250-300 secondary hits in Bismarck and 3-6 fires, without ever firing HE from my main guns. It still doesn't make it a DD hunter. DDs don't suddenly melt. Secondaries do work under long exposure. Secondaries are what lets those BB pelt at a low HP target while focusing the big guns on more healthy threats. Secondaries come into play on Bismarck when you chase a slower BB that's trying to kite you, and all you have to do is select them as a target, and wiggle fire. They won't escape the secondary range, they'll start eating light damage, fires, and occasionally Main battery. As long as you remain angled when he fires, he can't do crap. As Flamu says, avoid reliance on it. Don't expect the secondaries to save you or anything. They're a background process that you ocassionally tab about and switch, and sometimes they'll plink something, start a fire, or knock out some DD's engine at just the right moment. Secondaries on cruisers doesn't work. Especially at high tier, where getting under 8km in cruisers is suicidal. Your captain points can be spent better on more useful stuff. I run a Secondary build on my........ wait for it......... Penzacola! And I have to say Secondaries on her DO work. Late in the game once the BBs are thinned out I go into DD hunting mode, those thigs are great, I get close quarters expert quite often. They allow continued pressure on the DD while you dodge and your primaries get out of position. They start fires, causing either DOT of a waste of repair. They are an early warning system allerting me before the little buger shows up on screen. I also recently revamped my Edi for secondaries. It works there too, She is not as great at DD hunting but lighting fires on BBs that want to charge your smoke is priceless especially when I will be causing flooding after repair with my torpedoes. It is also a great indicator for me on range, Secondary range is just outside of in smoke gun bloom, so when secodaries start to go off I know that its time to switch from primary guns to torps and kite. Above these tiers IDK. Mino doesnt have any and I hated the NO and watever the tier 9 Brit CL is. My intent wasn't to compare secondary armaments between BB's and Cruisers. Obviously BB's will have many more secondary guns. My intent was to find out if a less than one in ten hit ratio with minus 85% to dispersion of secondary armament was normal. From what I see so far it would appear I'm being nerfed by the RNG. All guns have different characteristics. 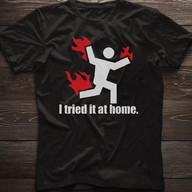 That's what fire control training is primarily about. Learning to adjust trajectory and lead distance to accommodate different ballistic characteristics. I have BFT, AFT and MFCSB - plus the upgrade and flags - but apparently the RNG has decided my gunners are either blind or stupid because a less than one in ten hit RATIO is pathetic. Often times one or two more secondary hits would have made all the difference between sinking a DD and it getting away or launching torps and taking me out. Do not use secondaries on cruisers, the only remotely possible exception to this is Roon. But even then you spec for the trolling, not the effect. Getting 9 hits a match instead of 5 is what you're looking at here. 12% might seem horrifyingly bad but really the only reason secondaries ever hit in the first place was sheer volume. And that's 6 times as good as reported historical accuracy for many ships. Secondaries are only ever just that, the B team of your ships firepower. And on most ships (like your cruiser) it's actually an AA gun taking pot shots at a target it can't realistically ever damage. You're not getting nerfed by RNG, you're just playing to the weakest possible part of the New Orleans. I suggest dropping MFCSB. As most have mentioned it's more a BB skill than a Cruiser one. While the decrease dispersion is nice and all you might find yourself opening up your Broadside to an easy Torp shot / trade with a DD if you're that close to it. MFCSB is good if you find yourself in a brawling situation against another cruiser. But against a DD you might be better off with IFHE + AFT + CE. Sure you're trading off %Fire but you are getting more consistency out of your Secondaries and MB HE against certain targets and ship areas. I know you're feeling the RNG with ~10% secondary hit rate. But the Cruisers I've run with a semi SB focus are about the same %Hit and I don't run MFCSB; just AFT + SB-RANGE. One major thing to remember is that a DD that close to your ship Will be trying to get away. So they're most likely going full evasive because at some point your Main Batteries will hit their mark. If they're full evasive they're just as likely to dodge secondaries as they are primaires. Anyways, going back to my main point of "spec out of MFCSB" there's nothing overly wrong with keeping it. But you might want to retrain that commander for a BB. Or Cleveland IF you still have that ship in port; while she still sits at T6. Personally the best USN Cruiser for a Secondary build is Cleveland at T6. It's got a large number of secondaries and strong range for its Tier. I think the majority of Cruisers at T6 have 4.5km secondaries whereas Cleveland has 5.0km; boosted to 7.2km. Sure it's not getting the Higher Tier buff of MFCSB but if you look at you MM and the types of ships your facing it still might do good work. One final thing to to note is the timing of when you knife fight with a DD is how much damage your ship has sustained. If it's late in the match a number of your Secondaries could have been destroyed. Thus reducing their damage output and volume of fire in the direction of the DD you are hunting. So IF your secondaries are at >50% and still getting 10%hit rate, I'd say they're doing what you've spec'ed into. USN ships are geared toward AA... So their secondaries will suffer. Germans have worse AA but much better secondaries... in general. FWIW a sec. build Hind is very funny, and entertaining. Cruiser secondaries are generally bad. You shouldn't expect anything out of them. Hence why those that champion the build for Cruisers normally recommend ATF + Range mod is enough. Anything more should have dual benefits with your Main Batteries or AA protection. Best "Secondaries Build" I'd recommend for a Cruiser is actually the AA Cruiser build but trading the AA-Range mod for SB-Range. So PT, EM or LS or AR, SI or BFT or DE, CE, AFT, MFCAA. While running DF + MFCAA you make up the difference for the lesser range AA bubble. But retain the reach of your Secondary Battery out to 7.2km. In my endeavor to figure out what U.S. CVs and CAs are good for I did fully load the Cleveland and Pensacola with AA. They did great against planes - when I could find a CV - but it seemed to be very seldom. I started a spread sheet that I kept going for 350 battles. Cleveland and Pensacola - 1 CV every 8.137 battles. My 8 DDs and BBs - 1 CV every 4.051 battles. One other observation I would really like an explanation for. Had the Omaha, Cleveland and Pensacola all set up with IFHE. Not once in over 250 battles did I ever see a cit. hit with HE after thousands of hits. I had no problem getting cit. hits with AP. Does He penetrating armor just not show up on screen or what? HE Citadels require the HE shell to impact directly on the Citadel Zone. Come early Tiered Cruisers have exposed Citadels as side Hull plating but chances are they are also armoured strong enough to Shatter your HE shell. Can't recall the rounding; but to err on the side of caution I usual round up in favor of the Defenders. So once you've found the MAP value of your shells check which ships, if any, have an exposed Citadel and note it's armour value for comparison. TBH the only time I've ever Citadelled another ship with HE was in a BB against a Cruiser at >8km. So you might not find anything a Cruiser can Citadel with their IFHE shells. Maybe for the Germans since they're divisible by 4 rather than 6... but the HE damage values are pretty weak. Speaking from experience: I run a full secondary Spec Pensacola, and I have over 150+ kills with them alone. 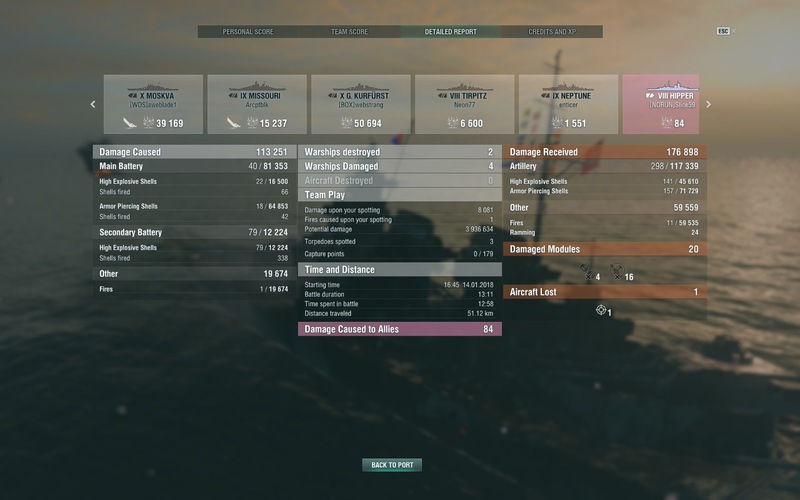 I would definitely recommend a secondary build for a skilled Pensa Captain- but not for the New Orleans, here is why: The New Orleans if you look has the exact same secondary set-up as the Pensacola, but a few updates back they buffed its range to max range of 7.5km (full secondary build) instead of 6.8km like the Pensi. I noticed right after this change that it had also nerf'd the effectiveness and dispersion of the secondary armament. A friend & I went into training room, him with his full build NO and I with my Full Build Pensa, and I did 2x as much damage and hits then he did. That range bonus removed the excellent dispersion it had and brought it in line with the secondary guns of the balt, even though they are different entirely, and a lot more inaccurate. I like superintendent on my NO. It gives you an extra radar and hydro charge. My 4 point skill is still concealment expert. In the NO, to be seen is to be dead quick. The absolute limit of your focus on secondary guns on a Cruiser should be BFT and AFT skills that is it, and that's mainly for the AA on Cruisers like that and as added bonus it gets a little Secondary boost to maybe get a lucky shot on a DD or something. I will on very rare occasions get a kill with Secondary guns and that's usually only because my Main Guns or Torpedoes left the enemy ship barely alive and my Secondary guns just happen to get a hit or 2 and it's just enough to push them over the edge.